1.Our Bag provides active lifestyles with exceptional durability and functionality. 2.Water-resistant Canvas bag, comfortable, strong and adjustable strap. 3.One main compartment, big enough to accommodate all kinds of essentials,things, such as clothes, ipad, umbrella, wallet, books and etc. 5.It is the perfect overnight travel bag, weekender bag or gym bag. It also will be a best gift for your friends, colleagues and relatives. Size: 18inch x 9inch x 9.5inch (L x W x H). Material: Canvas bag & adjustible Nylon shoulder strap, double Nylon handles. Features: One main roomy Bag, two side pockets and one of them is zippered, one inner zipper pocket. 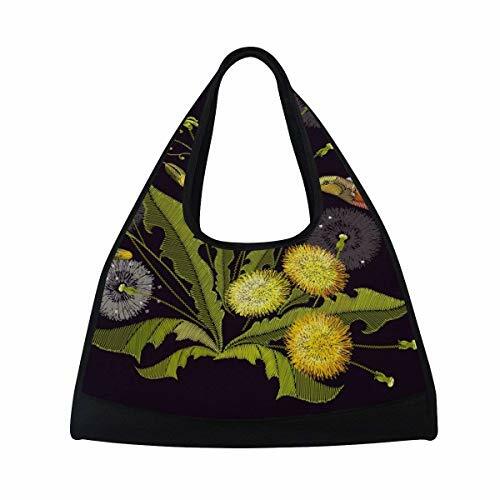 Comfortable, strong and adjustable atrap, it can be as a handbag or cross bag as you like. Designed for workout, travel, sports activity, tennis, basketball, yoga, fishing, hunting, camping, hiking and so on.